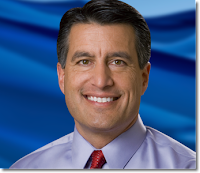 TransparentNevada highlighted five transparency-related bills Governor Brian Sandoval signed at Legislative session deadline last week. The bills included three campaign finance reform bills championed by Secretary of State Ross Miller, and two bills affecting Nevada's Open Meeting Laws. Former State Senate Majority and Minority Leader Bill Raggio, R., Reno, questioned the constitutionality of Nevada's redistricting plans going court, telling Ray Hagar of the Reno Gazette-Journal, "If I were governor, I would call a special session and limit it to redistricting." In a story that could be politically devastating, Jon Ralston of the Las Vegas Sun reported that newly-declared GOP presidential candidate Jon Huntsman's family donated nearly $25,000 to Harry Reid's 2010 re-election campaign. Huntsman also received Reid's "endorsement," when Reid said: "If I had a choice in that [GOP presidential primary] race, I'd chose Huntsman over Romney." According to the Nevada News Bureau, Secretary of State Ross Miller is asking county clerks and registrars about the possibility of using mail-in ballots in the upcoming Congressional District 2 special election, as a way to "...reduce the cost to the taxpayers." Under recently passed AB82, a county clerk can make any precinct in his or her county a mailing precinct with the Secretary of State's approval.